The resplendent vigor of the tropical forest in the area around Guadalupe Arriba, near Cerro Punta, did not exist in 1973 when Rogelio Pretto, Paul Fidanque and brothers Carlos and Brooke Alfaro decided to settle in three adjoining sectors of land in the area. EcoTreat is one of those sectors. The group's purpose was to take immediate action to protect the area’s natural virtues. Loggers, ranchers and farmers, unaware of the ecological wealth of the region and armed with chainsaws, were causing irreparable damage to the rainforest, and unrestricted hunting was disrupting the rich fauna. Scarce in wealth and government connections, but motivated by ecological ideals, the group took possession of the land adjacent to the headwaters of the Chiriqui Viejo River and developed their own preservation strategy to counter the deforestation driven by agricultural, financial and political interests. The group’s action was strengthened by the measures the Panamanian government took in 1976 to define a forest protection policy in the region and, later, with the recognition in 1983 of the trans-frontier park shared by Panama and Costa Rica, as a nature reserve under the name La Amistad National Park. A few years later UNESCO declared the park a World Heritage site and it was renamed La Amistad International Park (PILA, Parque Internacional La Amistad. The roots of EcoTreat were thus linked directly to the birth of PILA. 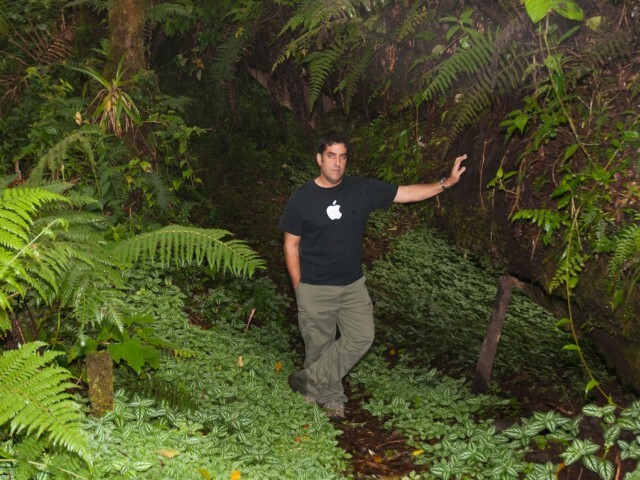 Rogelio Pretto was a 29-year old corporate executive when he decided to take action to protect the high altitude rain forest. But his first contact with Cerro Punta was in 1955 at the age of 11. With his father David, his older brother Rolando, the Spaniard Matias Reyes and two of his sons, and "Cojo" (Lame) Saad at the helm of a Chevrolet station wagon, Rogelio went on his first road trip to Boquete. On the third day, the group traveled to the Volcán area and on to Cerro Punta. As they crossed the plains of Volcán, seated between his father and Saad, Rogelio was taken by the beauty of the landscape. He had no idea that such a beautiful region existed in Panama. When they reached the splendid entrance to the Bambito canyon, Rogelio was captivated forever by the robust nature of the area he was witnessing for the first time. The effect Bambito had ​​on him rekindled 15 years later, when he returned with his wife Judy. He would visit at any opportunity after that. The new connection with the area became visceral, and on following visits he made sure to take along family and friends, both children and adults, including Carlos Alfaro, who introduced him to Paul Fidanque. Fidanque and Rogelio developed a friendship supported by their mutual love of nature. Having lived in the U.S. some years, Paul settled in Boquete as a farmer. Attracted, however, by the uniqueness of Cerro Punta, he moved there in 1972. He made his first purchase of land ​​alongside the road towards Guadalupe Arriba and cultivated his crops on the agricultural slopes of the forest. He built himself a cabin in the higher, somewhat remote and dense part of Guadalupe. There Rogelio and the Alfaros would visit him frequently, and together they began to plan the group's permanence in the area. They soon acquired the sectors they wanted to protect, allowing them control of an important part of the forest. The future would confirm the ecological benefits of their initiative. Rogelio bought 30 hectares and enlarged the plot to the 106 hectares that now make up EcoTreat. 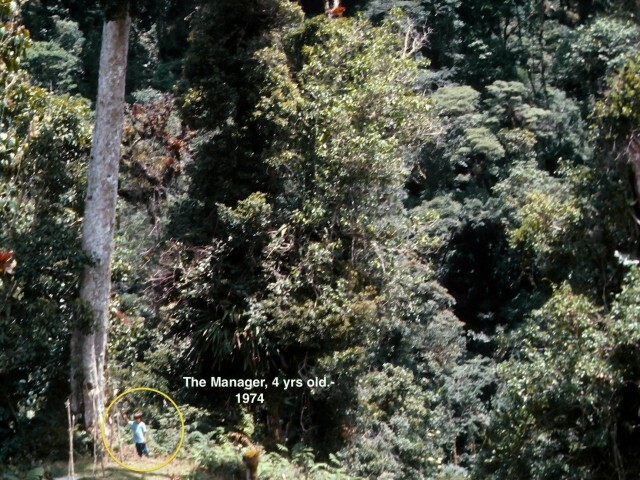 In the initial sector the low forest density reflected the devastation of the abundant flora the area had suffered. Pretto decided to leave the land alone and allow the years to rehabilitate it naturally. When he built the first cabin in 1976—today called Origen—, Judy and her childhood friend Raul Castro used Raul’s knowledge of agronomy to make new plantings that accelerated the reforestation of the area near the cabin. Today, in EcoTreat’s natural environment, the look of previous despoilment has completely disappeared. The fertile and delicate soil has regained its original health and glowing vitality. The Fidanque-Alfaro-Pretto initiative to preserve Panama's natural wealth was unprecedented in the country. The protection of nature at risk through the purchase of land was not an established concept elsewhere in the world. The ecological rewards of the group’s action are evident in the contrasting conditions of the forest as seen in the before and after pictures of various sectors in the EcoTreat areas. Derek Pretto, Rogelio´s son and present Manager, proudly standing next to the same magnificent giant. 1974 and 2012. With each visit to Guadalupe, grew Rogelio’s desire to live in the forest and protect it closely. 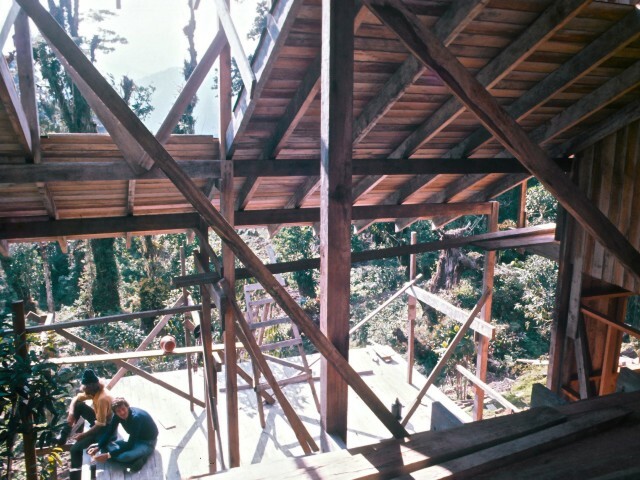 On New Year’s Eve of 1975, the construction of Origen cabin had a spontaneous beginning. Brooke, Rogelio and his cousin Pepe Pretto were on the rooftop of Rogelio’s artist studio in Panama City discussing the building of the cabin. Suddenly, Rogelio proposed to take word into action, and minutes later they were in Rogelio’s VW bus on the 7 hour journey to Guadalupe to select the best location to build on. Drawing on his architectural studies, Brooke drew the first designs, while Rogelio returned to Panama in search of funds to begin construction. Only a footpath used by hunters and the few residents of the Valle Libre area on the other side of the mountain, connected Paul Fidanque’s cabin to the proximity of where the remote cabin was to be built. The remote location and unforeseen events prolonged the construction. When finally completed in 1977, Rogelio had already left his life as a businessman to seek a new one as an artist. In Bambito and Cerro Punta he found inspiration for a number of the works he produced up to 1984. Rogelio’s new calling came after, but not in consequence of his rediscovery of Bambito. It came from the legacy of the artistic vein of his family roots. He is the grandson of painter and politician Sebastian Villalaz, brother of Nicanor, both prominent figures in the history of the creation of Panama’s Code of Arms, and Ludovina Colunje, daughter of the writer, poet, journalist and politician Gil Colunje; and nephew of the painter Carlos Villalaz Colunje, creator and painter of the province of Colon’s Code of Arms, and sisters Anita, Sylvia and Matilde Villalaz Colunje, all actresses. Rogelio is the son of the youngest of the sisters, Ligia Villalaz, a virtuoso soprano, whose talents for singing and acting were displayed on Panamanian television during the 1960s. Rogelio gained prominence as a painter in Panama’s cultural circles and then as an actor after he first displayed his innate dramatic talents on the stage of his country’s National Theater. With each new exhibition and stage performance, his recognition grew as a notable painter and actor who did not hesitate to publicly opine on the socio political realities of the country, which had been 15 years under military rule without democratic elections. In January 1984, he expressed himself eloquently in 42 works in Tempera exhibited under the title National Peace: A Pictorial Treatise. The show, which inaugurated a new wing of the Museum of Contemporary Art of Panama, anticipated the May electoral fraud by four months, when the first "free" elections in 15 years were held. Outraged by the election’s outcome and the stifling political climate it brought about, he emigrated to America at the end of the year, leaving behind a commendable recognition as an artist…and EcoTreat’s fate under the care of others. At the time of this writing, Rogelio Pretto has not exhibited or acted in his country since. Rogelio turned to his artistic skills for his economic survival in Miami and then New York in 1991, where he remained for 15 years. He used his voice successfully as an announcer, as he did his skills in theater, television and film. He painted privately and exhibited only occasionally. While in New York, he traveled regularly to Panama to take care of personal and family matters and to regain control of EcoTreat, less it suffer from a lack of care. 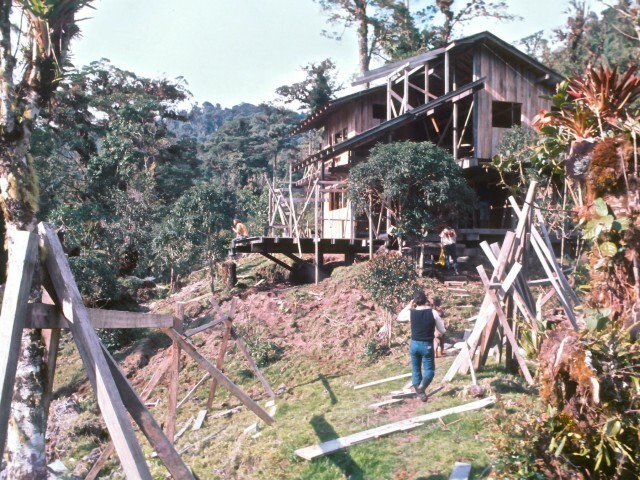 Before emigrating in late ‘84, Rogelio had granted the use and control of his cabin and property free of charge for five years to the Smithsonian Tropical Research Institute (STRI), to carry out research in the Chiriquí highlands. STRI didn’t renew the arrangement stating budgetary reasons. Rogelio then granted EcoTreat to the Audubon society, which, for similar reasons, gave up their stay within a year. Finally care and use of the cabin was offered to the late National Institute of Renewable Natural Resources (INRENARE), which accepted and took charge of EcoTreat until 1991. After their reunion in New York, Rogelio handed control of EcoTreat to Carlos Alfaro, with the idea that it be included as part of the ecotourism lodging business they had brainstormed. The partnership didn’t materialize, but Carlos was able to care for the cabin, until October of 1994 when Rogelio re-took charge of EcoTreat and proposed to his son Derek, then 23, a work assignment for the cabin. He accepted without hesitation. He was first brought to EcoTreat carried in a baby backpack on the shoulders of his father and his friends, when the first exploratory walks through the terrain were made chopping through the thicket ​​wielding machetes. His experiences in EcoTreat up to his early adolescence had become part of his best childhood memories. He was soon on the flight to Panama to prepare a status report on the cabin. The original plan was that what needed to be done would take no more than 6 months. But the EcoTreat charm and the flavors of the Panamanian culture were irresistible to the young, recently divorced man. Derek’s return to Ecotreat would last three years until December 1997. In that time he built a small A-frame for the caretaker, equipped the main cabin with alternative energy systems, and with the help of his future wife, Carla, he made internal improvements to it; he built external steps and paths and stone and concrete water ducts close to the cabin’s perimeter. He also installed Internet, phone and TV signal capture capabilities when reception in such remoteness was unheard of in Panama. He also organized and carried out the first cabin rentals, marketing through traditional brochures, but principally through a website he designed and registered under the domain name ecotreat.com. It was the first time the name EcoTreat was adopted for the property. By the end of 1992, Carlos Alfaro had completed construction of his cabins, and was renting them successfully. He had also completed the first phase of his hotel in Guadalupe, which he named Los Quetzales, on Derek’s suggestion. With these achievements, the ideas that Pretto and Alfaro cooked up in New York were coming to fruition. They had tossed around the idea of developing an ecotourism lodging business in the community, so that new sources of employment, tourist arrivals and the benefits these generate would help improve the economy of Guadalupe. Primarily, the presence of the hotel and cabins would attract other investments to develop new business and revenue sources other than agriculture, which, due to its rapid expansion, contributed to the deterioration of the flora and fauna of the region. Sadly, the rapid progress in rebuilding EcoTreat under Derek’s charge almost came to a standstill when Rogelio was forced to suspend the funding that fueled EcoTreat’s new improvements. For Derek it would mean the end of the adventure as the protagonist of this transforming chapter for EcoTreat. He returned to Miami in the company of Carla. 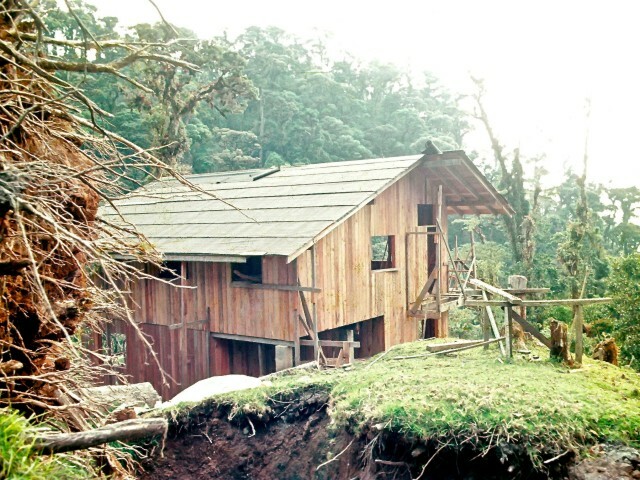 To insure the care of the property in Guadalupe, Rogelio granted Carlos Alfaro the use of Origen, to be incorporated as one of Los Quetzales’ lodging cabins. In mid 2005, Rogelio Pretto left his life in New York to assist his wife Judy in a family matter that required Rogelio’s focused and prolonged attention, and led him again to travel frequently to Panama. The return to his homeland sparked a new interest to recover EcoTreat and continue cultivating its ideal for it to endure in the annals of the country's ecological history. In 2006 he built an operations base in the town property, and started reconstructing cabin A, today Esperanza. In September 2008, with work completed, Rogelio donated EcoTreat to a foundation his wife had founded in 2000, under the condition that EcoTreat be destined for ecotourism. A corporation, Arte & Ecologia, S.A. was created to manage the foundation’s new interests in ecology and art, particularly those comprising the lodging projects planned for Guadalupe and Guadalupe Arriba. To execute the construction and project development plans over the short and long term, Arte & Ecologia, S.A. contracted the services of Ecotreat, S.A., a company formed by Derek focused on providing renewable energy and environmentally friendly solutions. Ecotreat, S.A. currently oversees and manages everything related with EcoTreat. At this stage of EcoTreat’s history, Derek regains, via the management of Ecotreat, S.A., his lifelong connection with Guadalupe, but now as a Chiriquí resident. In August 2008 he and Carla, by then his wife, left Miami with their two children, to take up residence in Boquete, where Ecotreat, S.A. is currently headquartered. Since then Derek has overseen and managed the new reconstructions in EcoTreat, and is planning for its next phase to ensure the preservation and progressive evolution of his father’s legacy in EcoTreat. The promise of the current stage of his long relationship with the region of Cerro Punta, from his initial encounter with it in 1955, strengthens Rogelio’s belief in the durability of the EcoTreat ideal. Although unexpected events interrupted his desire to reside permanently in his little corner of paradise, fate has rewarded him none the less. His cherished legacy continues now under the care of his son, who, vested in it by his own lengthy share of its history, enjoys a connection with EcoTreat as deep as his father’s. Under Derek´s custodianship, EcoTreat and the delicate richness and beauty of the forestland it occupies, is sure to be cared for and preserved as Rogelio Pretto, the artist intended.